Interested in learning how to sail? 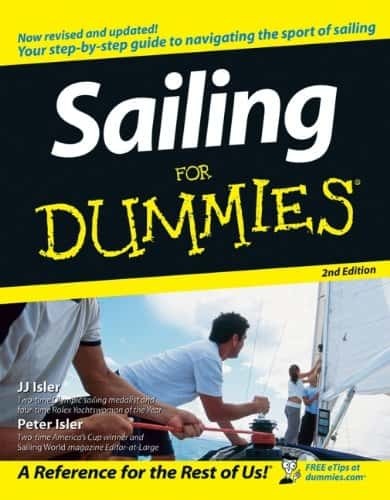 If so then Sailing for Dummies is a great place for you to start. Packed full of all the information you will need as a beginner. Sailing for Dummies is designed fo people who know little or nothing about sailing but wish to get started. If you are not an expert then this book is perfect for you. How to find and choose a sailing school. How to use life jacket s correctly. How to tie ten different nautical knots . Practical avice about handling sailing emergencies. How to launch your boat from a trailer, ramp, or beach. Get your boat from point A to point B (and back again). How to predict and respond appropriately to water, weather and wind conditions. How to plot your course. How to use a compass , and find your position at sea. Sailing for Dummies is available on kindle or as a paperback. You can get it here~ Sailing For Dummies .